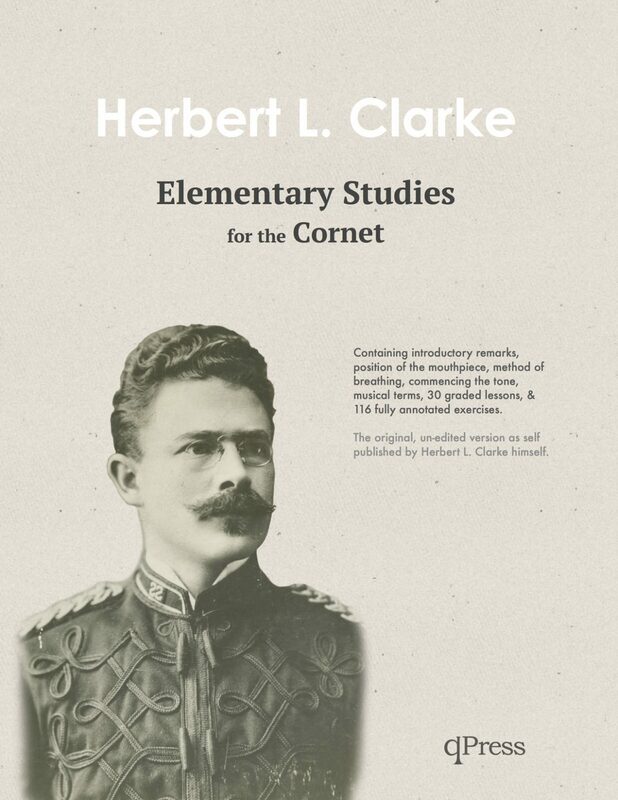 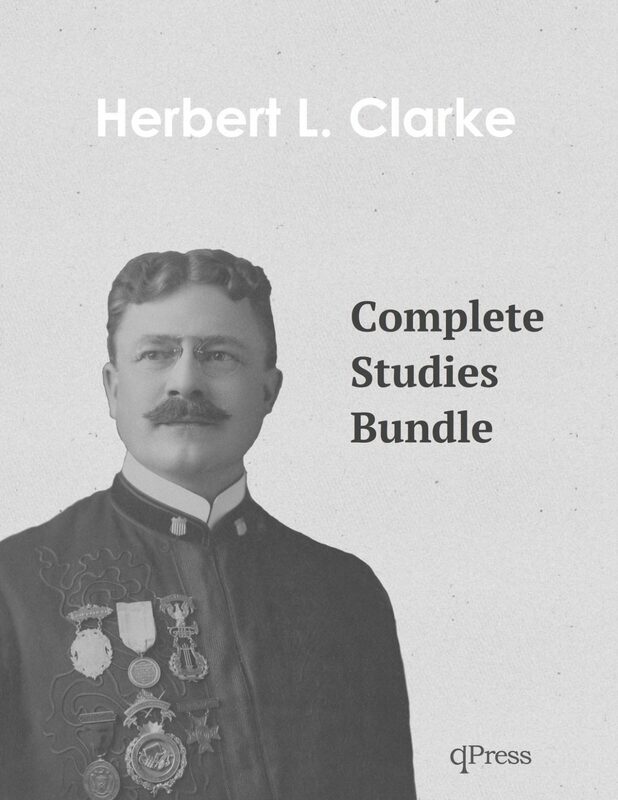 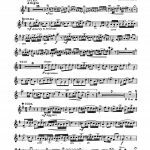 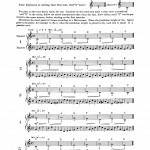 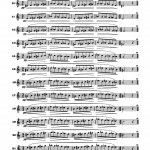 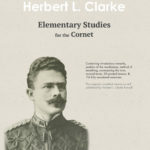 Clarke Studies Bundle	by Clarke, Herbert L.
At qPress we love creating digital bundles of must have trumpet music so that you can take all of your exercises and etudes with you wherever you go. 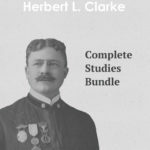 Here is a bundle that will save you over 40% while making sure your Clarke Etude Collection is complete. 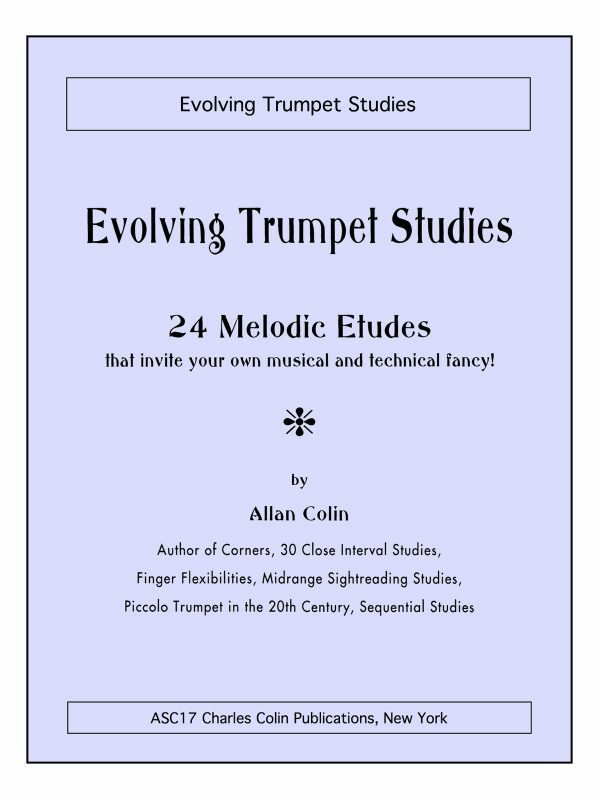 Click to the left for samples and to download your copy today! 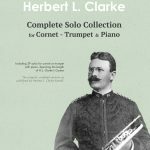 Herbert Lincoln Clarke is truly an icon in American music, considered by many to be the best and most famous cornet player of all time. 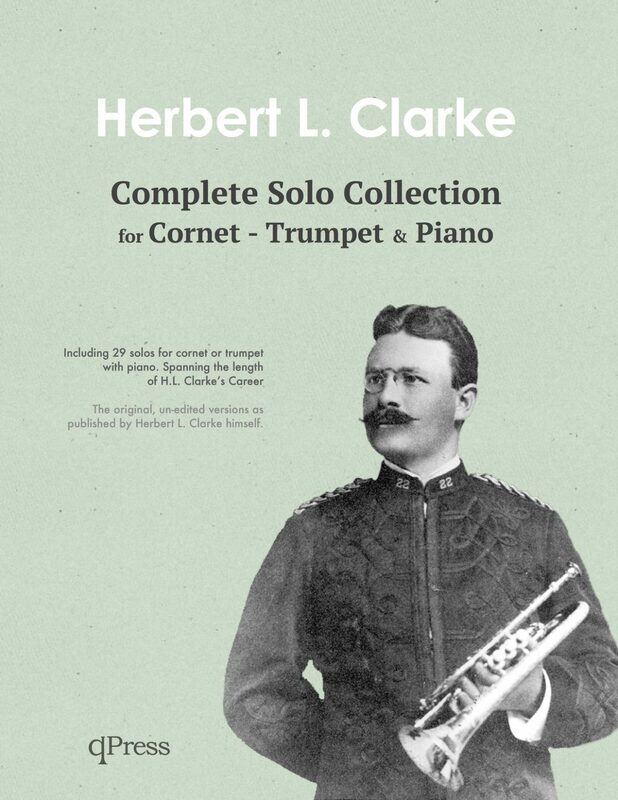 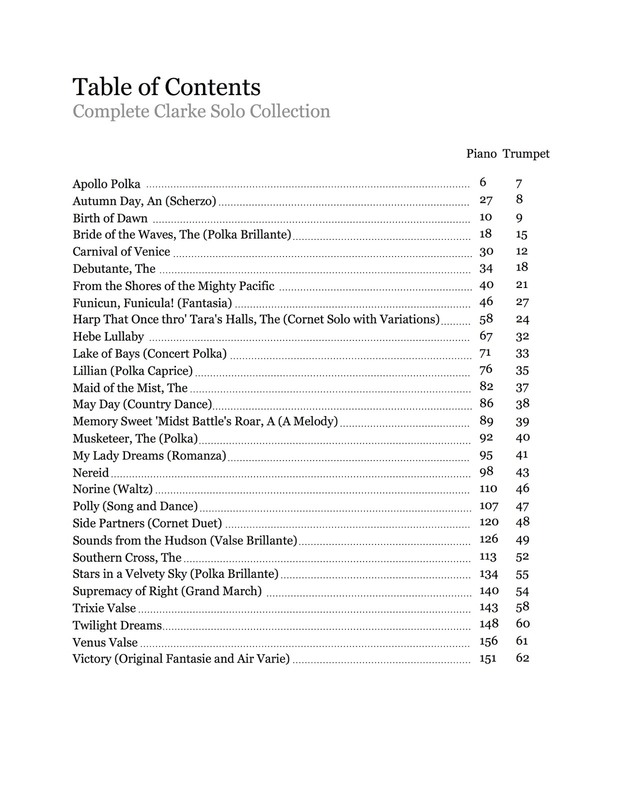 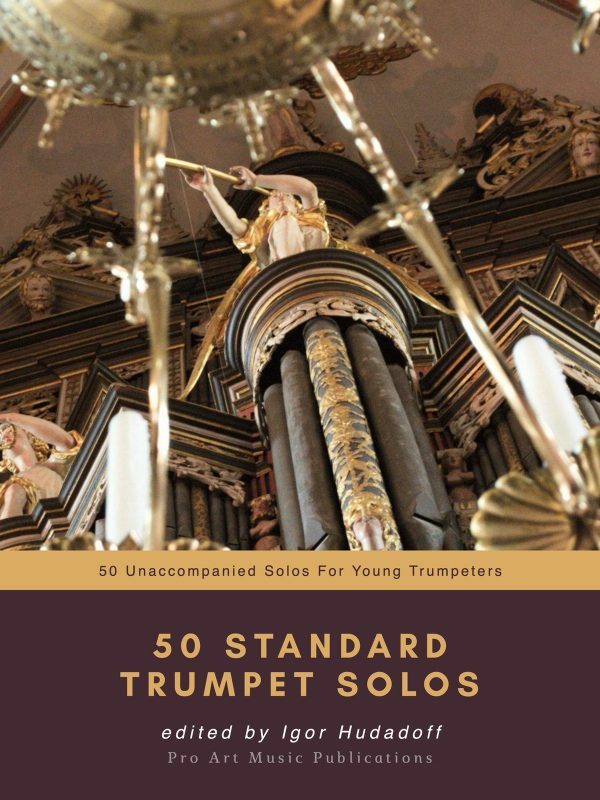 This collection is a tribute to the large contribution that Clarke made to the solo literature for cornet/trumpet. 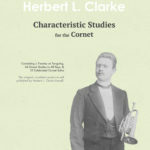 Clarke’s legacy of superior musicianship and the promulgation of the cornet as a means of musical expression are still evident today. 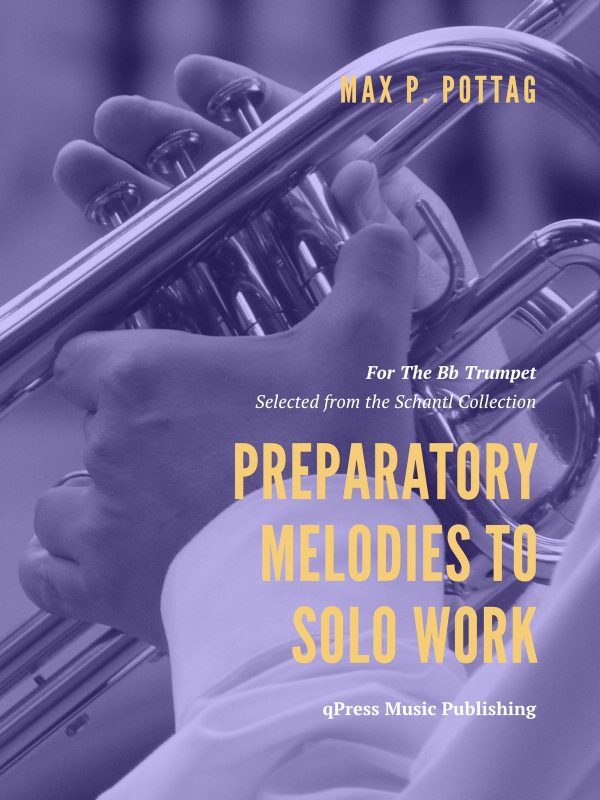 His recordings, methods and solo pieces are a lasting reminder of his musical genius. 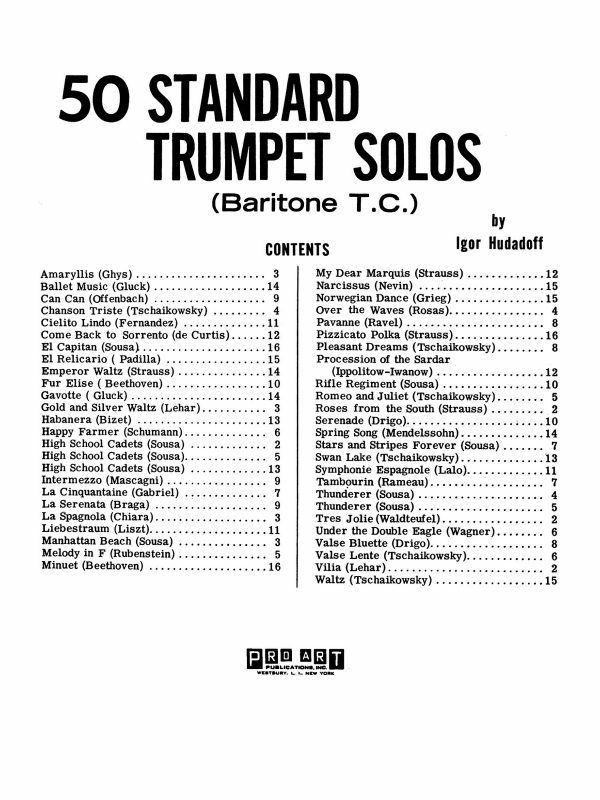 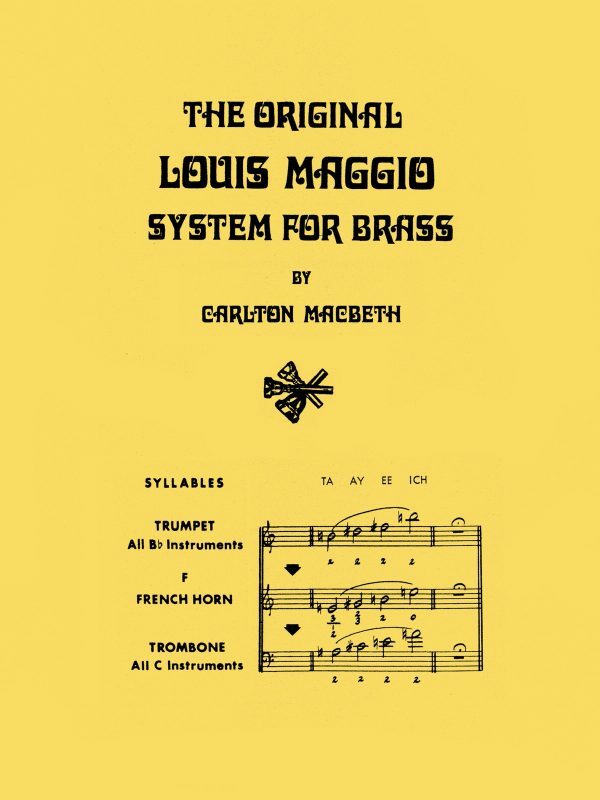 A work that has stood the test of time by one of the brass world’s most important pedagogues, Character Studies for the Cornet should be part of any trumpet student’s library. 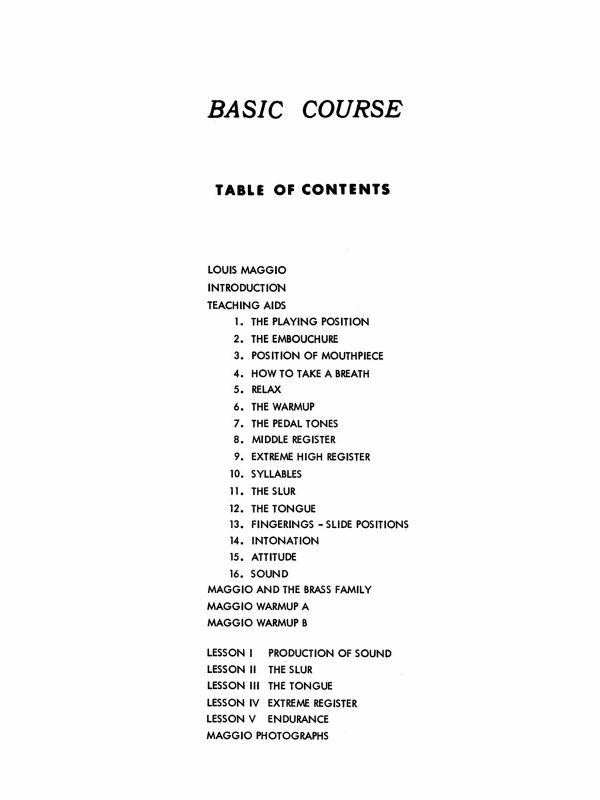 Within its pages, the student will gain valuable insight on tonguing and the 24 characteristic studies will help the student to gain absolute control of technique, articulation, slurring and endurance. 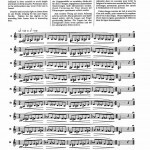 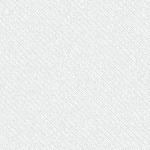 This work will prove helpful and beneficial to the developing student. 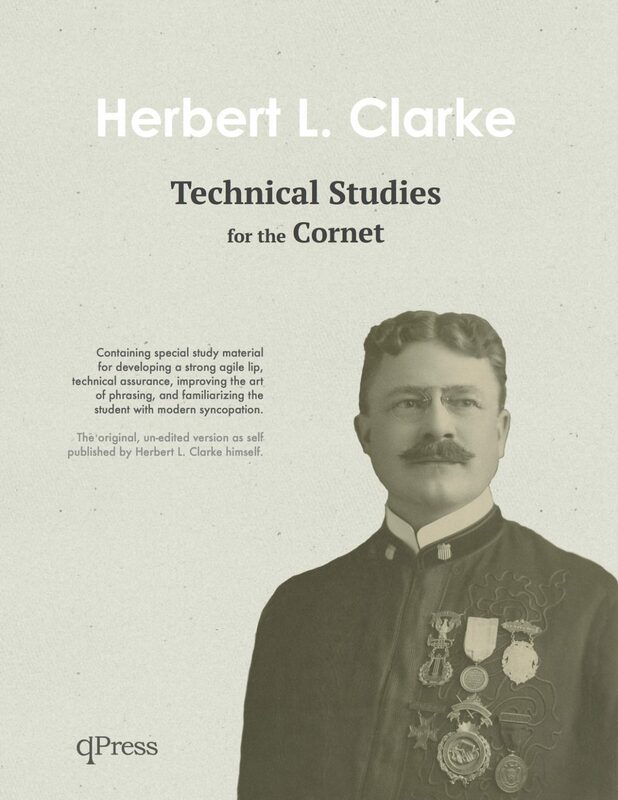 A classic tome from H.L. 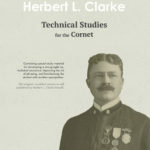 Clarke. 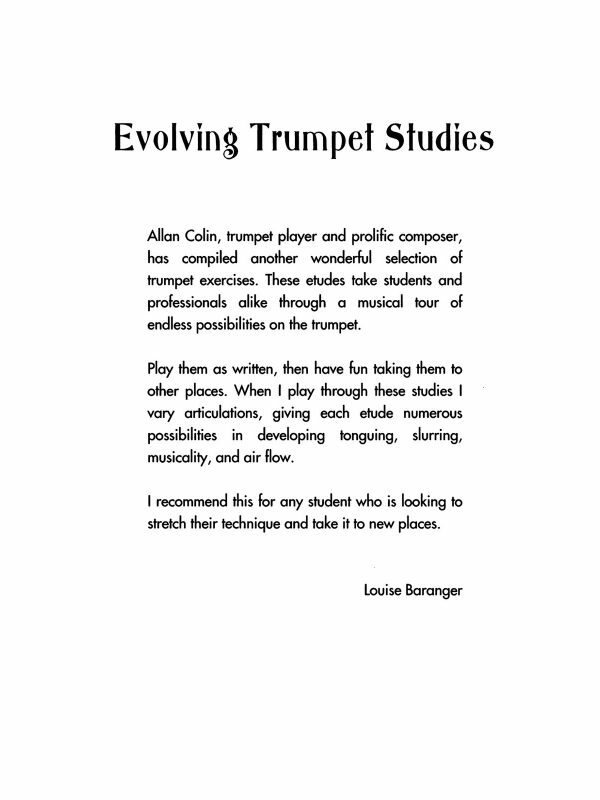 The Elementary Studies have been the background of developmental trumpet pedagogy for decade and will continue to be a benchmark for years to come. 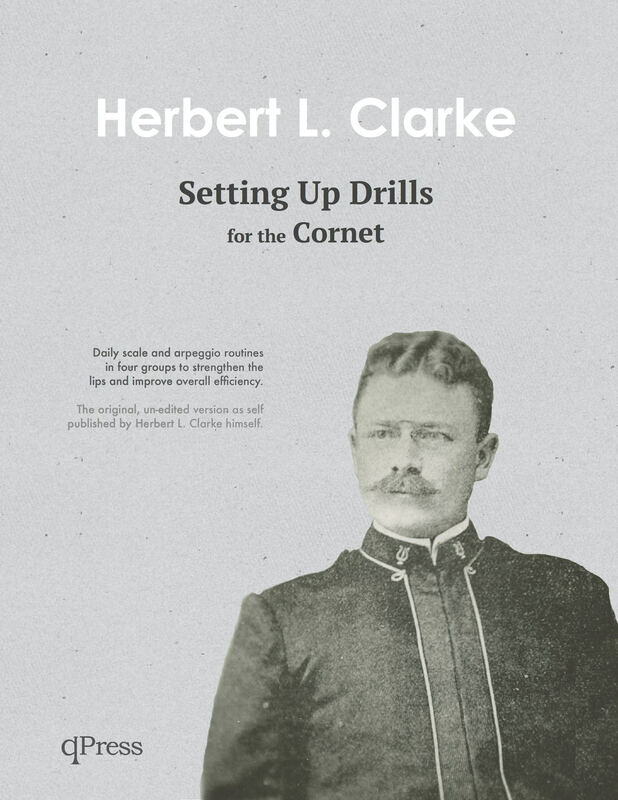 Clarke’s Setting Up Drills are Clarke’s attempt to head off improper embouchure usage at the pass. 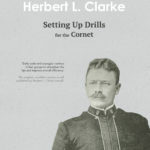 By learning how to set up and start playing efficiently, one can have a more effective, easy, and efficient approach to the instrument. 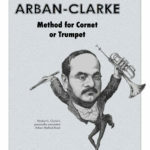 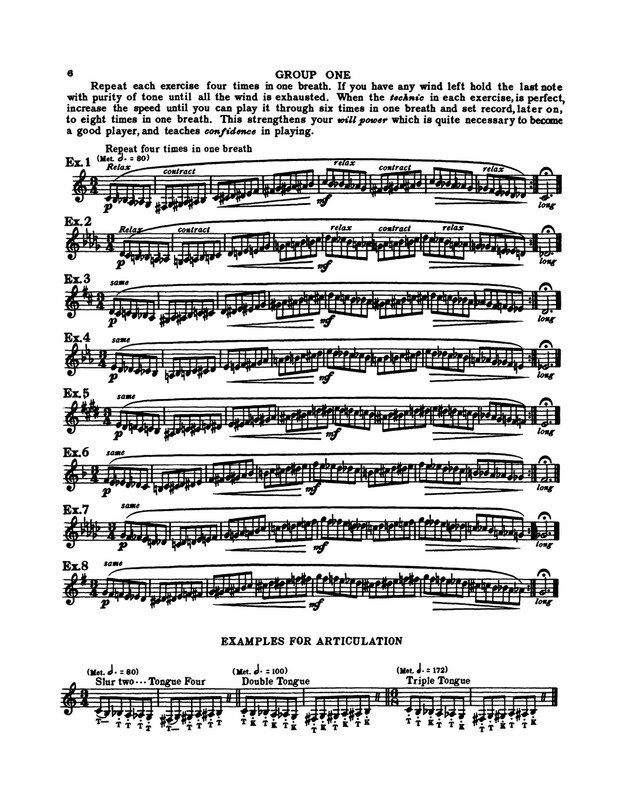 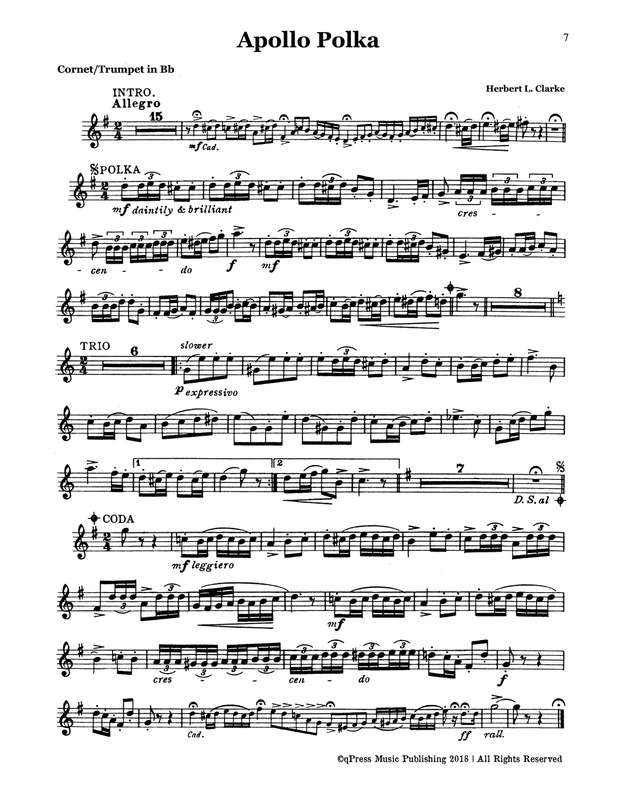 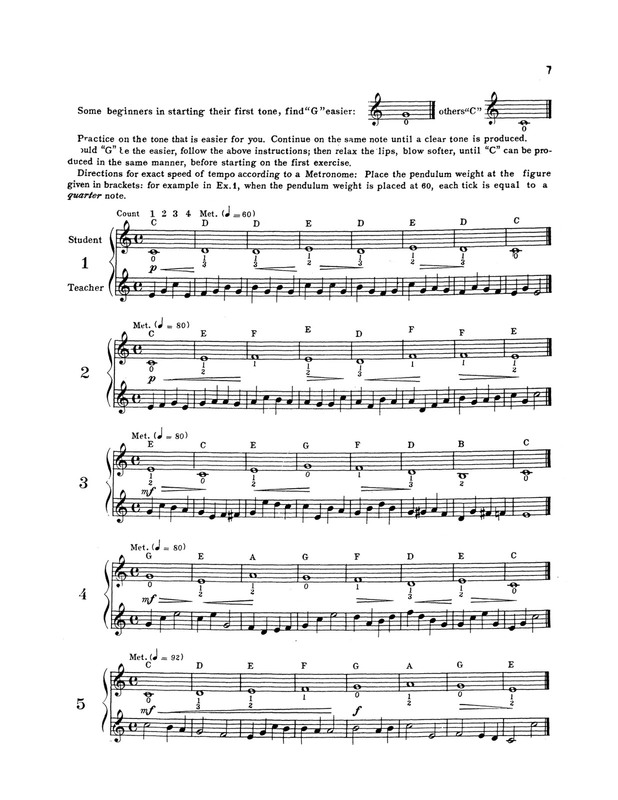 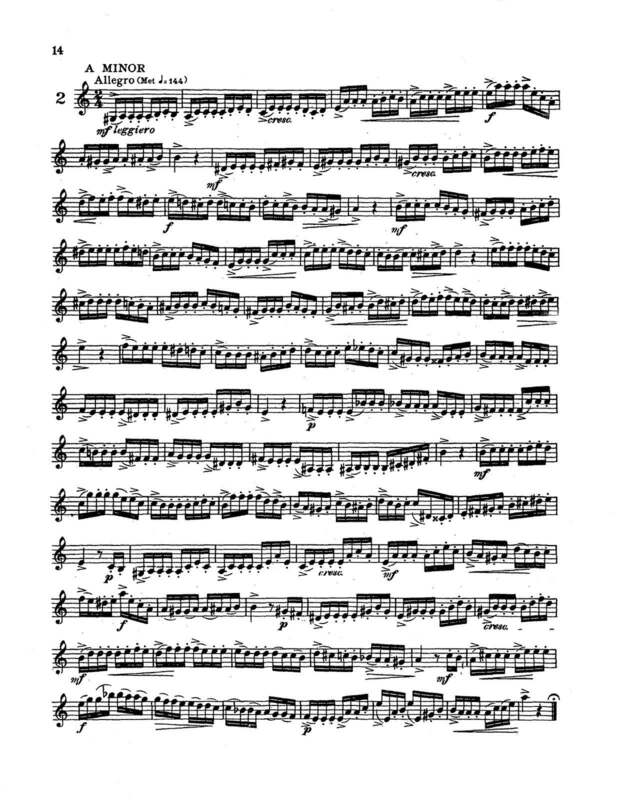 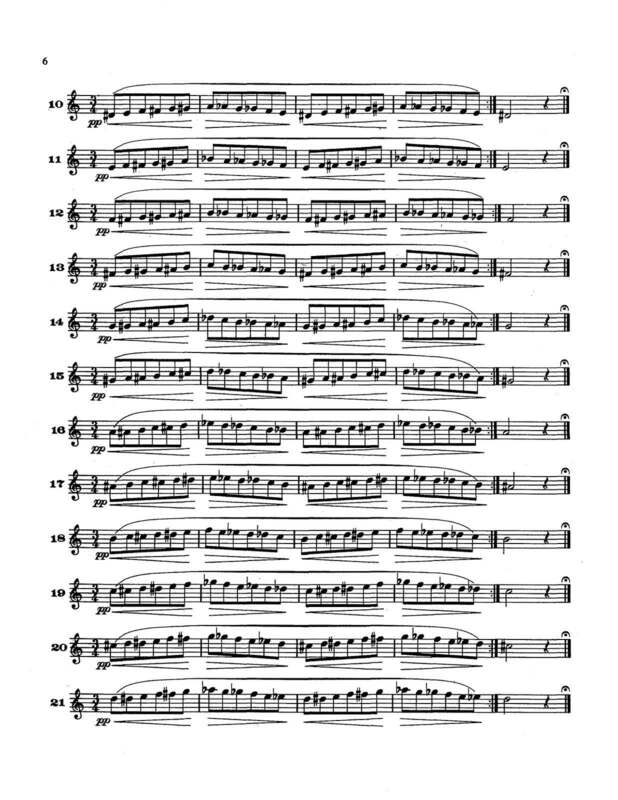 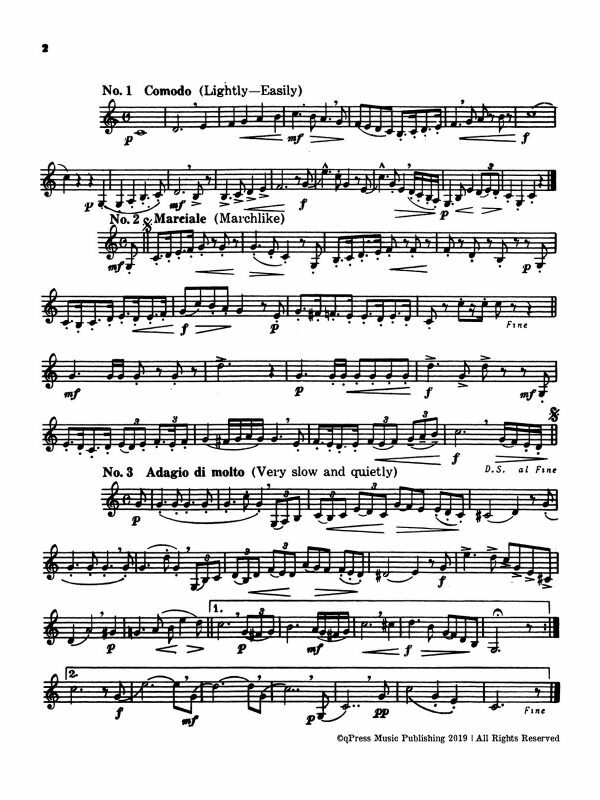 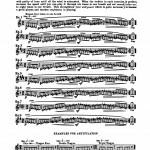 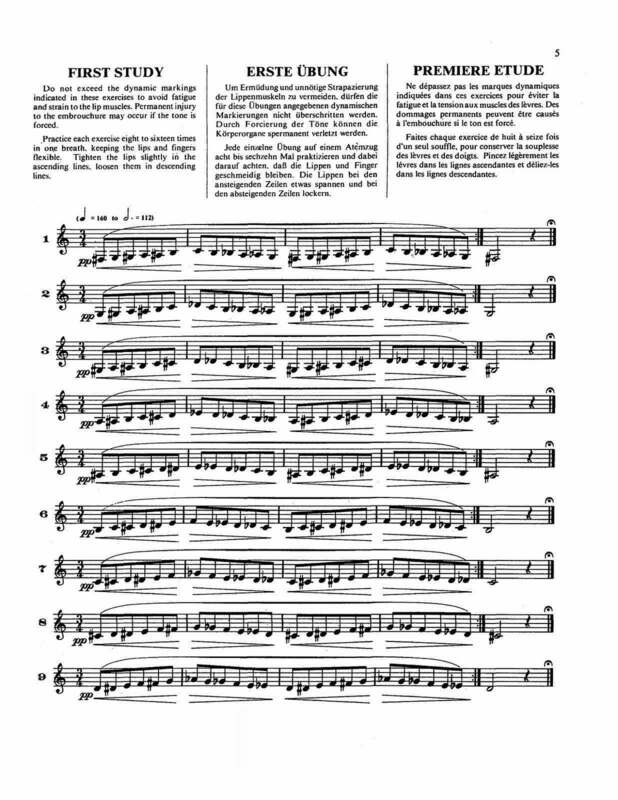 This is Arban’s Complete Conservatory Method, fully annotated by Herbert Clarke himself. 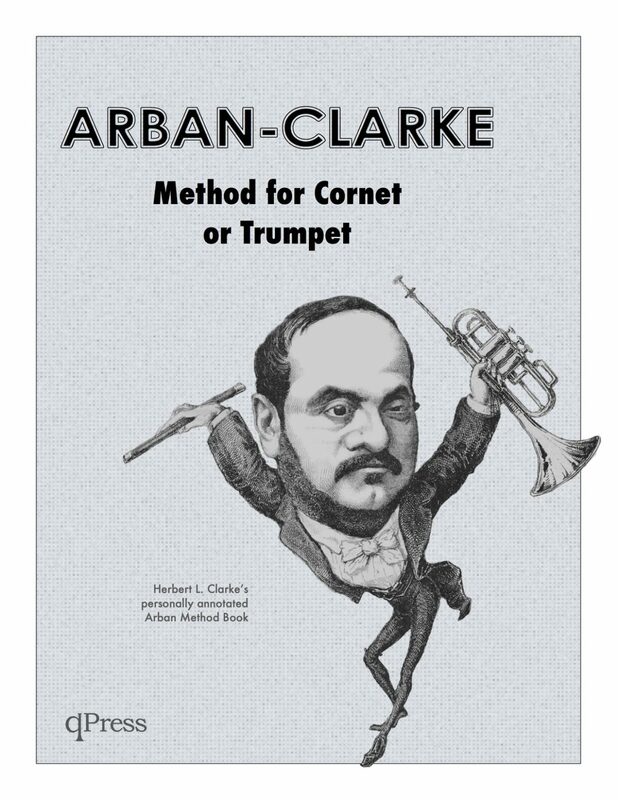 He adds dynamics, tempo markings, and phrasing/expression markings to make better sense of how to get the most out of the Arban Method. 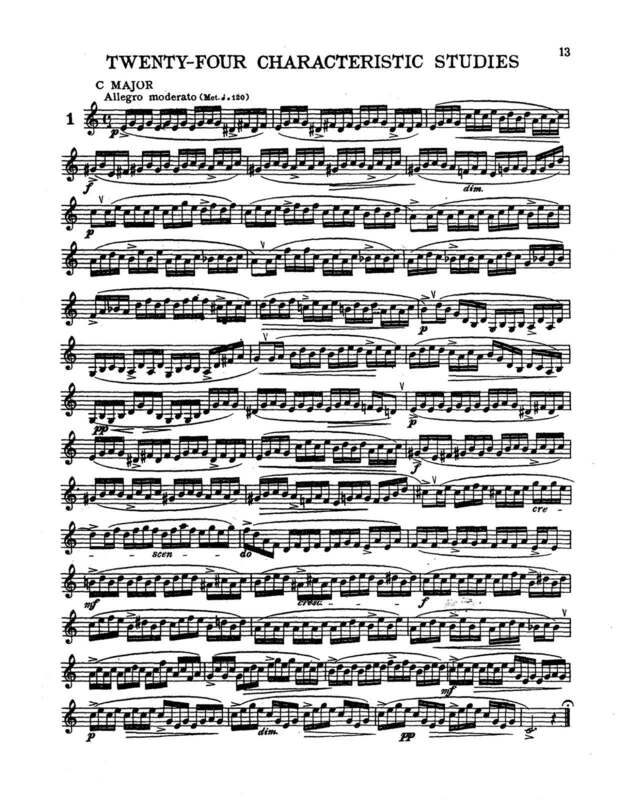 This is an absolute gem. 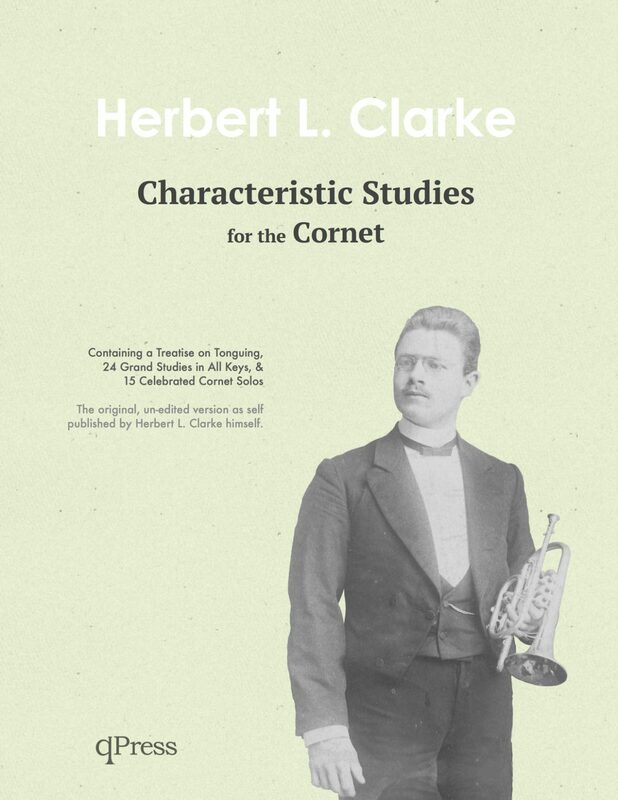 The autobiogrpahy of a cornet-playing pilgrim’s progress” gives the reader a clear and candid insight into Clarke’s thoughts and experiences during his progression from childhood, to the beginnings of his career as an internationally renowned cornet soloist.